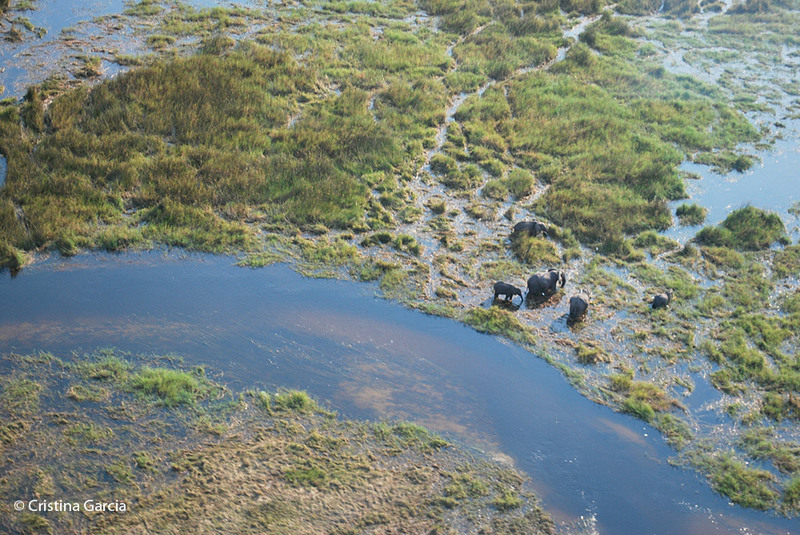 When someone offers you a free Okavango scenic flight, what do you do? You accept the offer. So when a stranger offered me a free ticket, I could not refuse. Taking one of these popular scenic flights was one of the things I wanted to do while visiting Botswana even though I could not afford it. 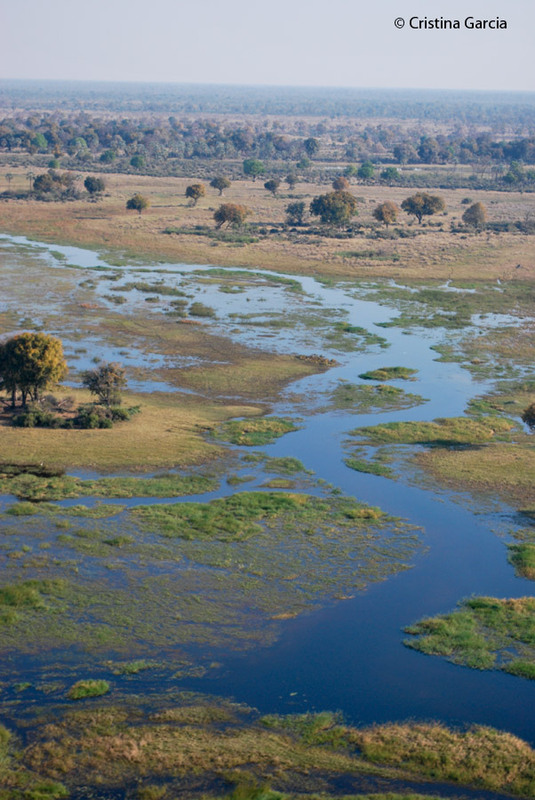 The Okavango delta in Botswana is one of the most beautiful wilderness areas in Africa. 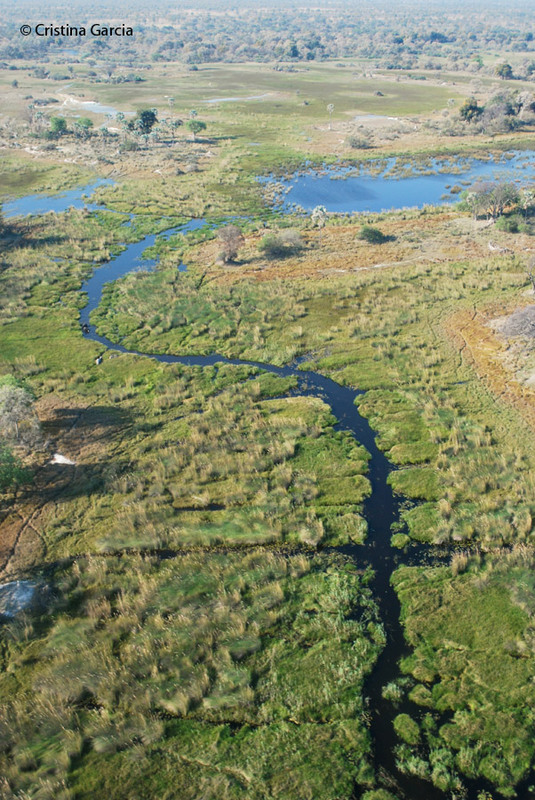 To truly feel the magic of the Okavango, you must go on an scenic flight, then take a trip on a mokoro (dugout canoe) and camp out in the open. This inland delta only flows seasonally. Its water flows from the rainfall over the highlands in Angola during summer (Januray-February). 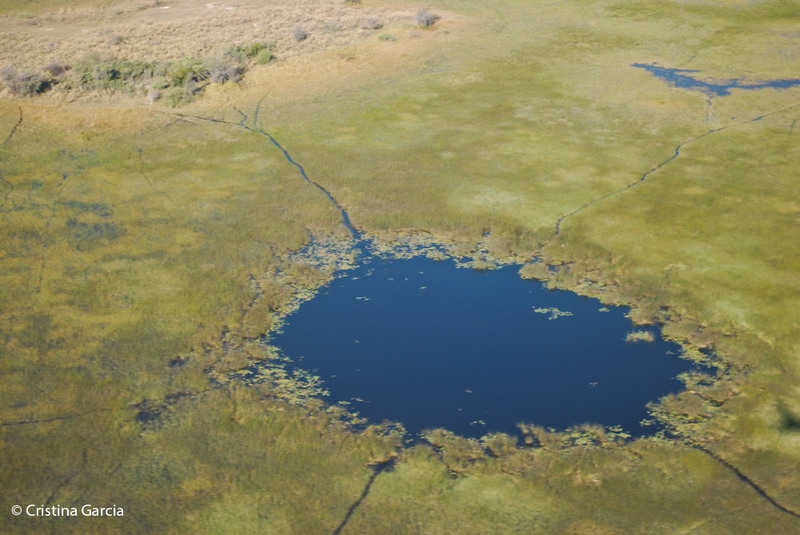 Crossing borders into Namibia and into Botswana, the water level at the Okavango delta is at its highest during June-August, which is Botswana’s drier months. 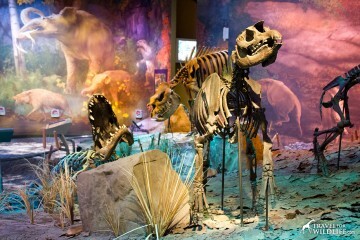 It is then that the delta attracts large concentrations of wildlife, making this one of Africa’s greatest wildlife spectacles. We visited Botswana in September and the water level was still at one of its highest points. 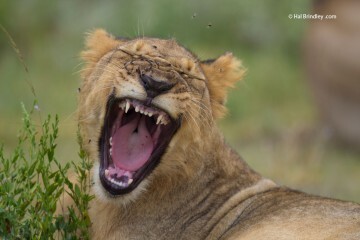 We had just spent ten days in the Central Kalahari desert, and I was thirsty for some green landscapes. 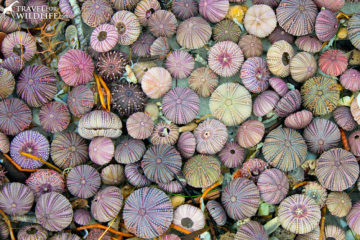 The unique vantage point of being on a plane gives you another perspective of this amazing ecosystem. 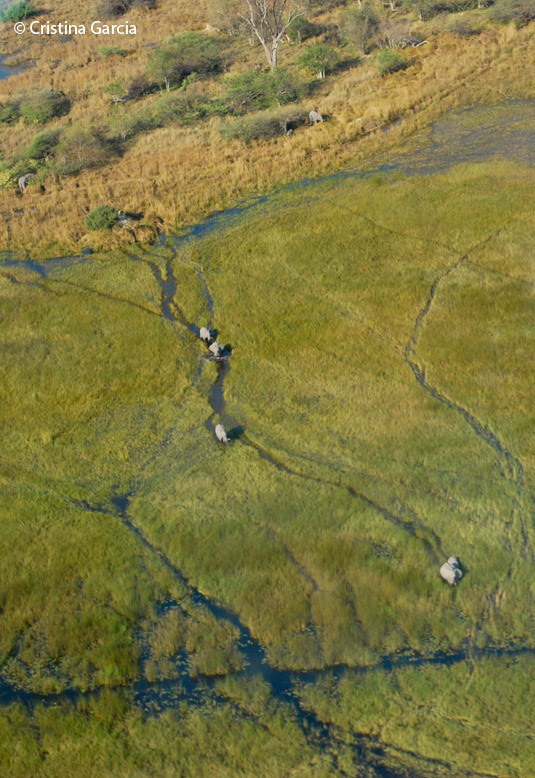 From the groups of antelope resting on little islands to the intricate network of wildlife trails, the impact of the Okavango waters is clearly visible. 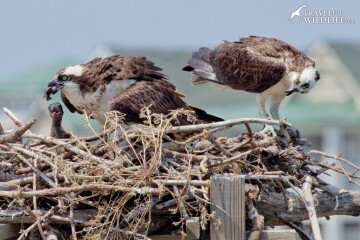 Animals create trails through reeds to get to the newly formed islands looking for food. 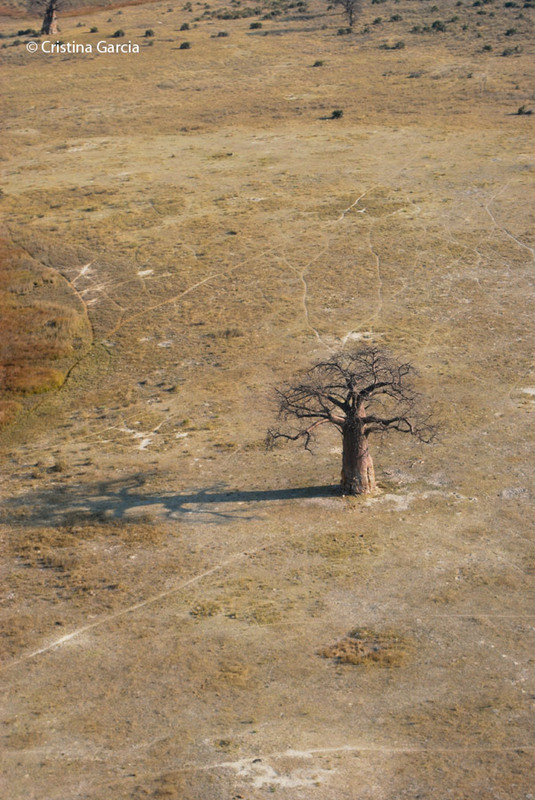 One of the delta trees, the ilala palm tree (pictured below), provides food and shelter for several species. Elephants use brute force to shake the trees and then feed on the fallen fruit, while baboons feed in the tops of the palms. Baboons also roost on the ilala palms. 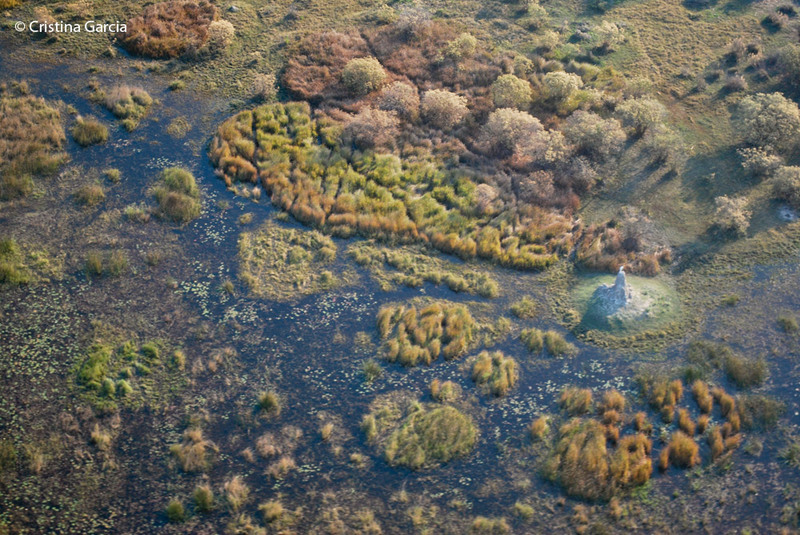 One of the results of the arrival of the delta waters is the change in colors. 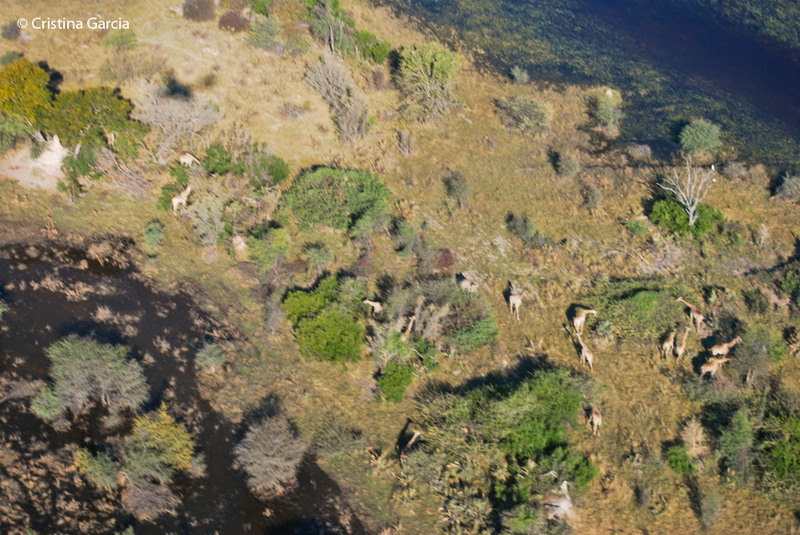 You must take a Okavango scenic flight to fully comprehend the magnitude of the habitat changes that are triggered by this arrival. Where there was a dry depression now lays a river. 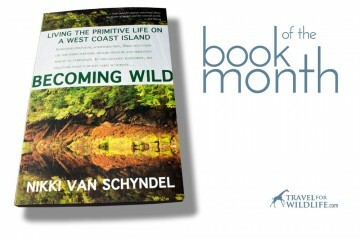 A series of little hills are now an archipelago of tiny islands where wildlife rest. And what was grey and yellow and brown, is now a stunning array of shades of green. 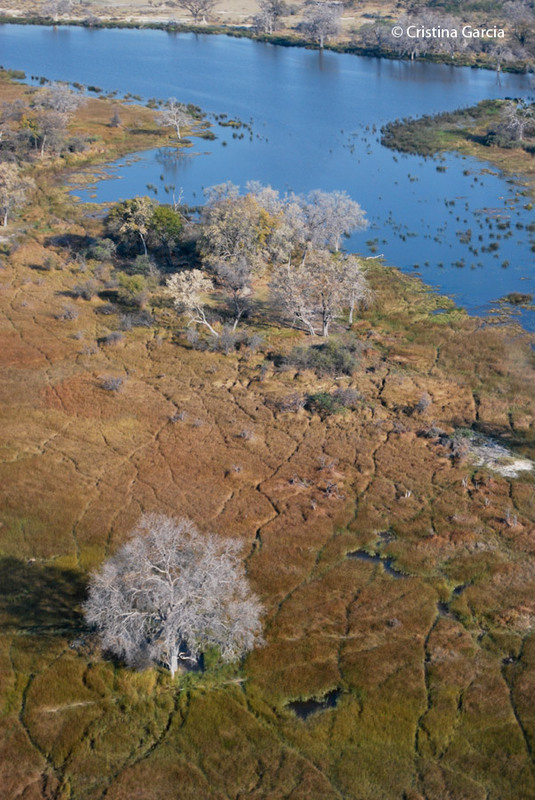 With the arrival of water, life returns to the Okavango delta. Beautiful shots from the air! 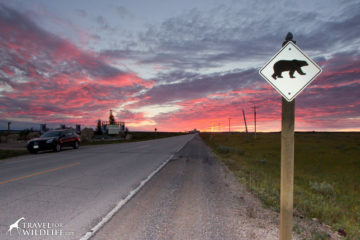 Amazing shots, as it is always the case with Travel4Wildlife! 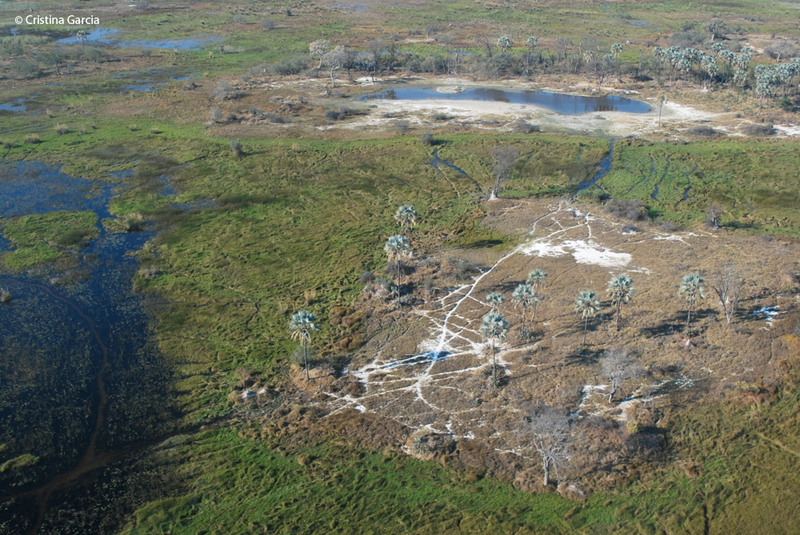 I love flying over the Okavango Delta. 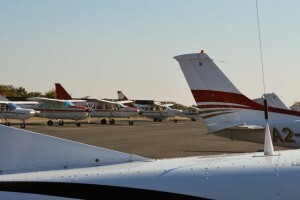 You get on a small white plane, then you turn into an eagle and, suddenly, they ask you politely to get off the plane. Plane? What plane? 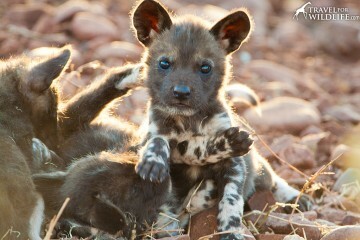 This is getting me very excited for my trip in March to Africa! Namibia to Kenya overland somehow! Maybe I will need to get into the air at some point! That sounds like an awesome trip! 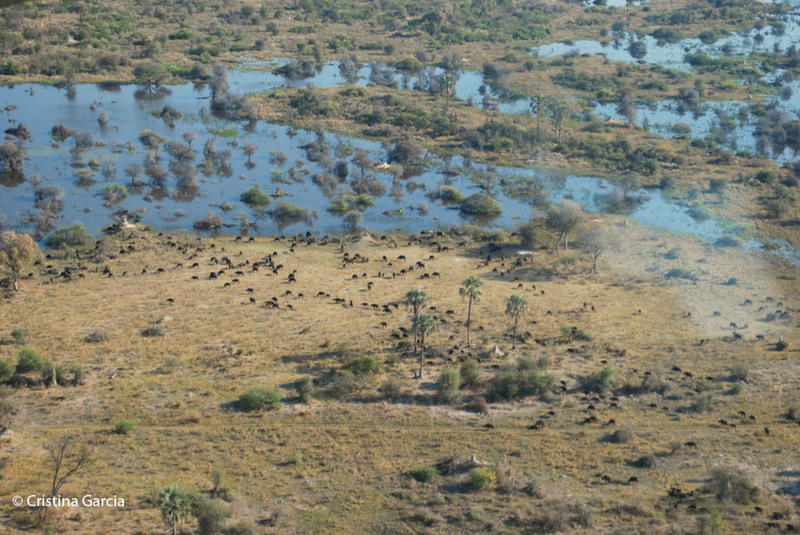 You can take an scenic flight above the Namib Desert, but my favorite is the Okavango one. Have a great trip!